Her parents say the girl identified as Winnie died after an illness and was burried. The parents narrated that the body even went through a church service and body viewing before it was burried. 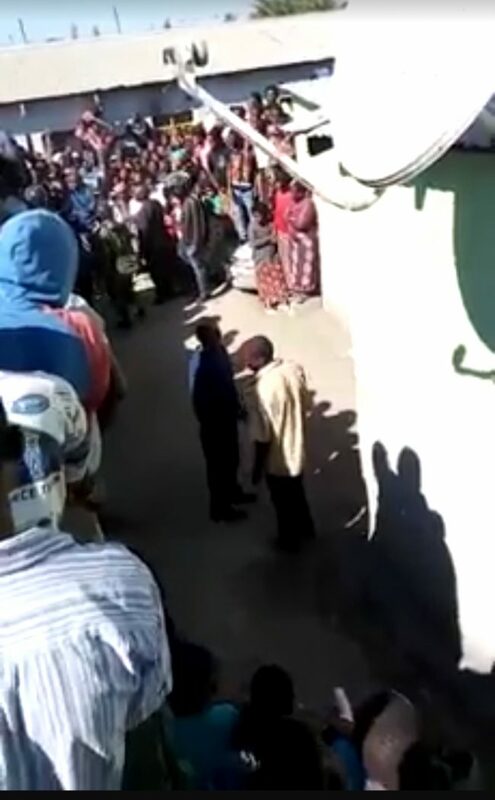 Ndola residents gathered at Ndola Central Police where the parents and the girl are being kept awaiting for a DNA test to be authorized and conducted on the girl. The parents have also submitted the death certificate and birth certificate to the police to help establish the truth .